Yoste’s hauntingly dreamy “Arc” captures life’s majesty in a breathtaking moment of reflective serenity. Among the incredible aspects of life’s beauty is its unwavering cyclical nature – something we experience in all aspects of existence, from our own trajectories to those of the stars that fill our skies. We watch daily as the sun and moon traverse our skies, only to repeat their dance the following day. When we take a step back to observe and appreciate the world, these phenomena truly feel amazing. It is with that same awe and humility that 22-year-old Yoste (rhymes with lost) embraces the life and love around him in his latest release: His hauntingly dreamy song “Arc” captures life’s majesty in a breathtaking moment of reflective serenity. Released February 2018 via Akira Records, “Arc” is the first single off Yoste’s forthcoming debut EP. Its dreamy quality and delicate textural elements – recalling the likes of Akira labelmate Haux, along with fellow Australians Dustin Tebbutt and Hayden Calnin – lends the song a dual quality of feeling somehow sweet and bittersweet at the same time. You can listen to it and bask in a certain warm glow, or wallow in a darker, intimate anguish. That these two opposing emotions can coexist within the same song speaks to the brilliance of Yoste’s songwriting skills. Yoste describes “Arc” as the fruitful result following months of creative frustration. “I was like a blocked stream, and suddenly I had to get it all out at once. 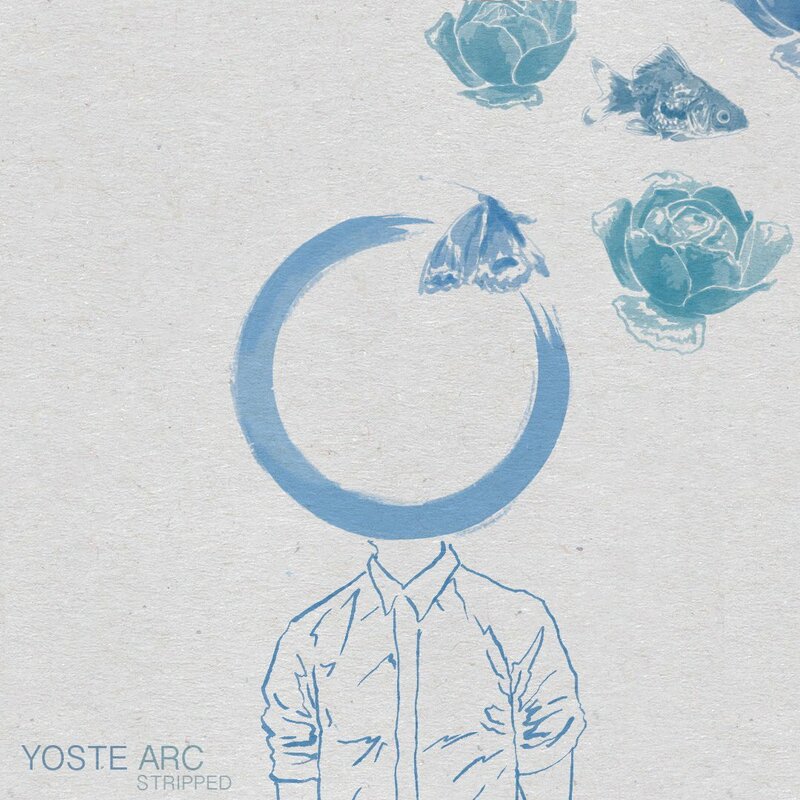 It was tortuous but the result was cathartic, and resulted in ‘Arc’ coming together over the course of just one day.” Despite its vague lyrics and Yoste’s minimalist approach, “Arc” bears an emotional weight and depth that can be felt at all times. I could breathe in the colours so bright. The stripped version finds the Sines family (and co.) relieving “Arc” of its synth pads and other electronically-manipulated sounds, swapping them out for acoustic guitars and the natural background scenery of birds chirping, wind humming and waves lapping at a water’s edge. 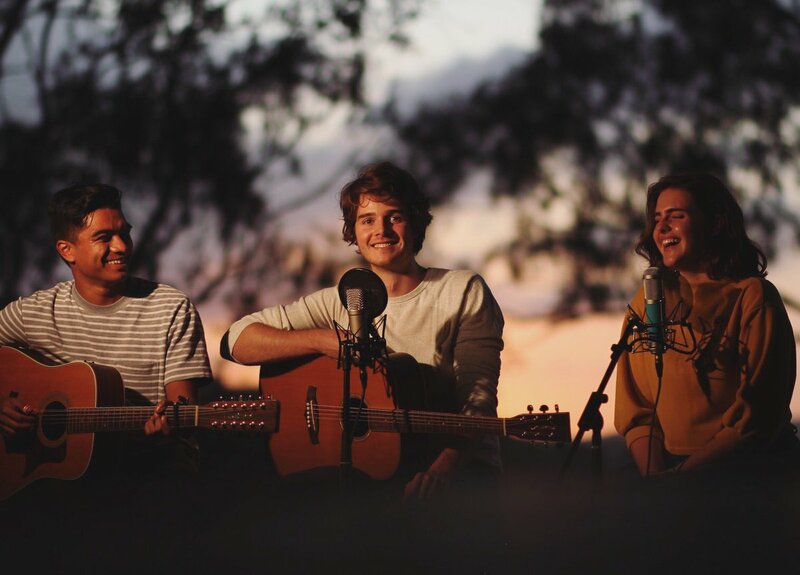 We’re drawn closer than we’ve ever been to Yoste as we watch this trio lose themselves in song, blending small, subtle sounds together into an expansive and organic tapestry. Yoste’s sister, who also features (albeit to a lesser degree) in the original “Arc,” sings dazzling harmonies alongside her brother’s main melody, offering lilting vocal flourishes that add just the right touch to an already-wondrous song. You may find in “Arc” a moment of grief, a moment of joy, or something else altogether. Yoste’s beautiful, stripped-down song invites us to dwell in its warm embrace, facilitating for each of us a unique spiritual and emotional journey that leaves us lost in our own trance-like fantasias. Enjoy Yoste’s “Arc” exclusively on Atwood Magazine, and slip into a daydream with our latest artist to watch!